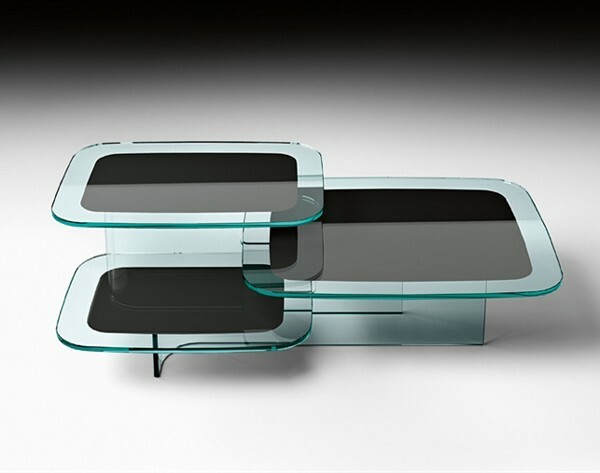 A coffee table consisting of 3 glass shelves on different levels bonded to a curved glass base. 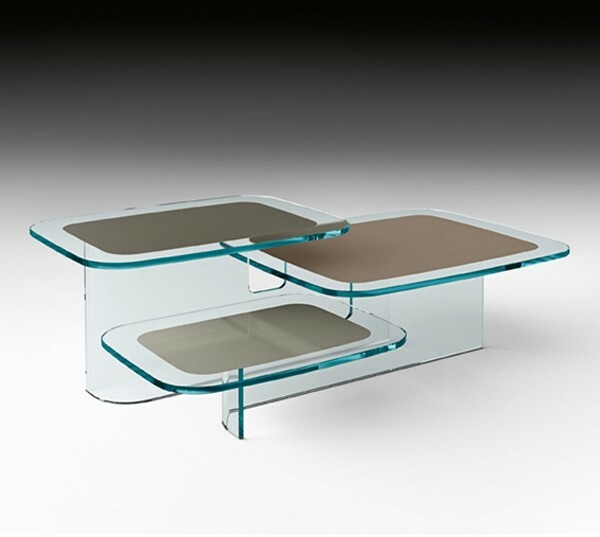 Available in 2 versions: in transparent glass with black central surfaces - or in extra clear glass with central surfaces in 3 different shades (gray, brown and dove gray). All glass is 12mm thick. Max load per shelf is 20kg (44 lbs).